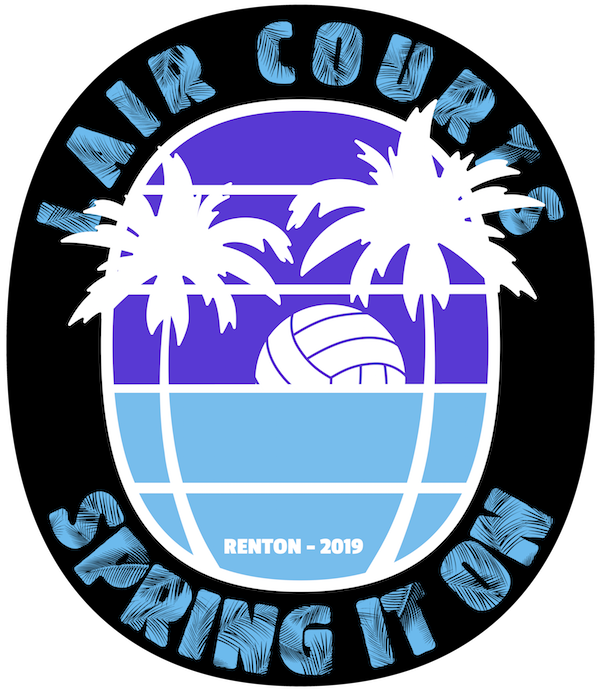 Come and join us to welcome in Spring at the Lair Courts on April 6th for our Spring It On U18 tournament. Kraken is hosting this event with great competition and a fun atmosphere. Morning pool with afternoon single elimination championship bracket play. We will have tournament apparel for purchase, and winners of the Gold and Silver brackets will receive tournament shirts as prizes. Divisional MVPs will be selected from each bracket and will be awarded a tournament sweatshirt. AM Pool Play with afternoon single elmination bracket play. The division will be split into Gold and Silver brackets. Every guest must be parked legally in a lined stall meant for a personal vehicle. NO PARKING in front of a freight loading dock door or in front of a semi trailer. No parking North of the semi trailer in the backyard of the Lair. You must obey all fire lane warnings. You may park in any lined stall meant for a personal vehicle on the entire property, including in the Baden Sports area. Overflow parking is the lot directly south of the Lair across the train tracks. Kraken pre-assigns team areas in our front and back lobbies, and in the Abyss'tro Cafe table area. Teams assigned to the cafe area will have a table assigned. Those that are assigned in our carpeted front and back lobbies may have and consume food in their team area. No food tables or open drink containers are allowed in the front and back lobbies. Unattended open drink containers, Starbucks & soda cans, will be immediately disposed of. Team food tables can be setup outside in the backyard of the Lair on the North side of the semi trailer. Water and sports drinks only are allowed on the playing and spectator surfaces west of the Cafe seating area. There is a 13 point penalty if any player, coach or spectator is found to have food or drinks other than water. NO COOLERS OR FOOD TABLES ARE TO BE BROUGHT INTO THE BUILDING. We have a NO GUM policy for all guests and players. It is not to be brought in or consumed. It ends up on the floor and is difficult to clean up. There is a 13 point penalty if any player, coach or spectator is found to be chewing gum. The Abyss'tro Cafe will have food and drinks available for purchase.